We study the problem of aggregating partial rankings. This problem is motivated by applications such as meta-searching and information retrieval, search engine spam fighting, e-commerce, learning from experts, analysis of population preference sampling, committee decision making and more. 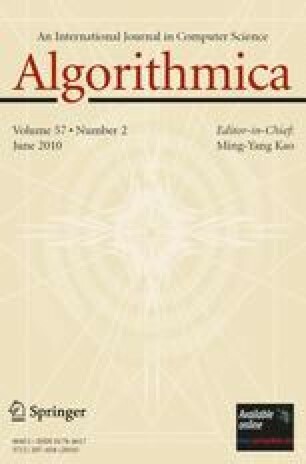 We improve recent constant factor approximation algorithms for aggregation of full rankings and generalize them to partial rankings. Our algorithms improve constant factor approximation with respect to a family of metrics recently proposed in the context of comparing partial rankings. We pay special attention to two important types of partial rankings: the well-known top-m lists and the more general p-ratings which we define. We provide first evidence for hardness of aggregating them for constant m, p.
Most of this work done while author was a student in the Department of Computer Science at Princeton University, and part while a member of the Institute for Advanced Study, supported by the National Science Foundation under agreement No. DMS-0111298. Any opinions, findings and conclusions or recommendations expressed in this material are those of the author and do not necessarily reflect the views of the National Science Foundation. A preliminary version appeared in 1.